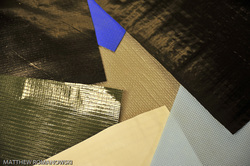 Materials - John Romanowski & Assoc., Inc.
Woven, Nonwoven. Film. Foam. Paper. We've got you covered. We are well versed in woven polyethylene, woven polypropylene, polyethylene barrier films, needle punch nonwovens, and spun bond nonwovens. We also have vast experience dealing with both chemically and radiation cross linked polyethylene foams. Our papers background goes from 30 pound krafts to specialty coated release liners. Whatever you need for a textile fabric, call JRA today. We'll be able to help.